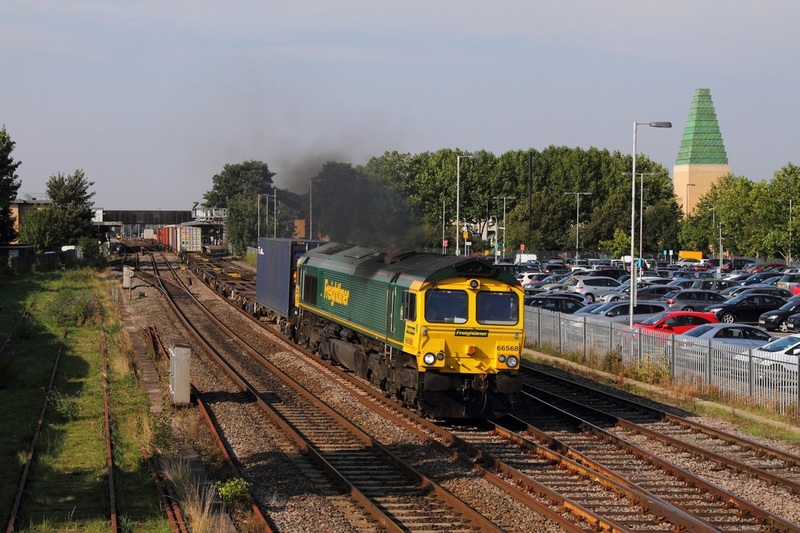 Freightliner 66568 works the 4O09 Trafford Park to Southampton freightliner at Oxford on the 14th September 2016. 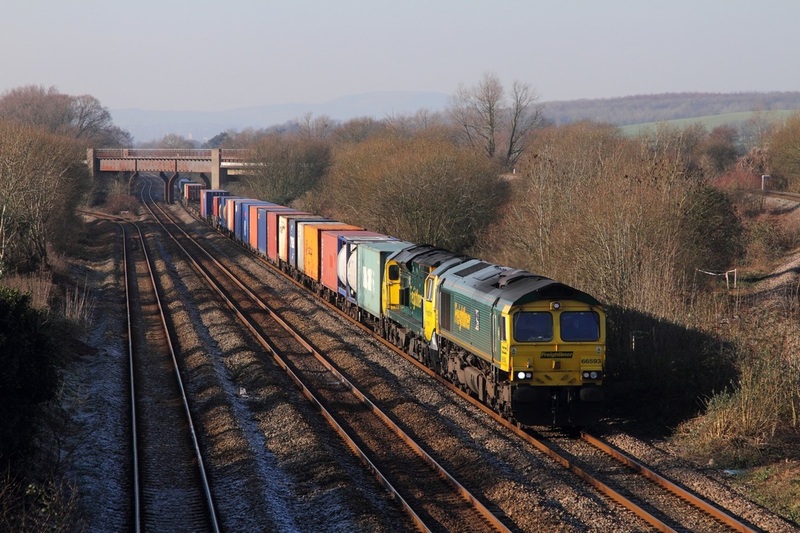 Freightliner Powerhaul liveried 66420 rounds the Bishton Flyover working the 4O70 Cardiff Wentloog to Southampton on the 16th February 2016. 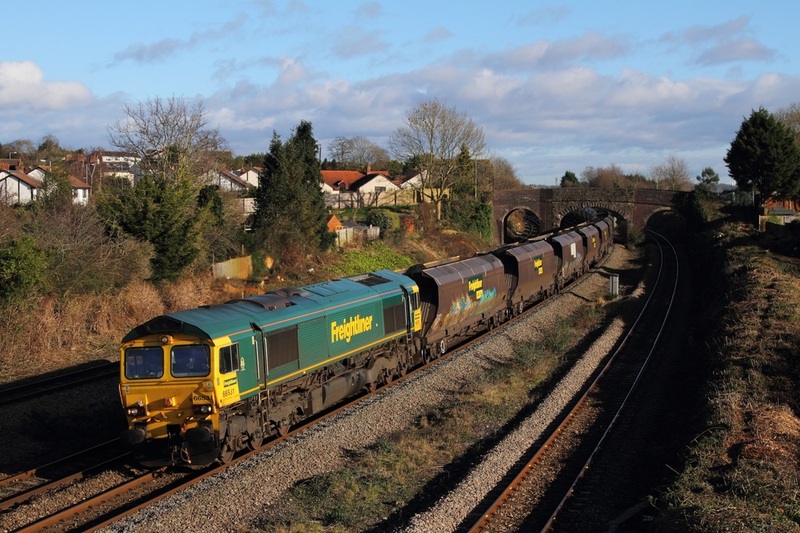 ​70006 failed whilst working the 4V51 Southampton to Wentloog and was rescued by 66593. 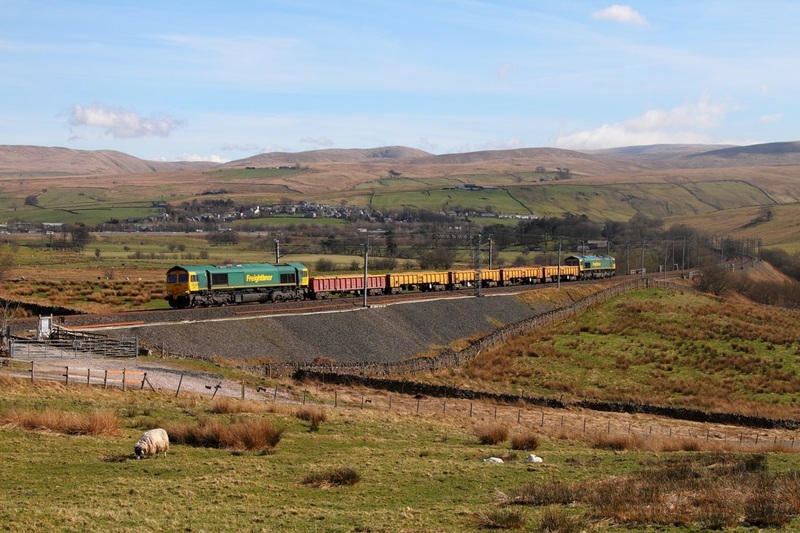 The returning 4O51 was caped and replaced by a later 4Z70 11:15 path which was also late. 66593 leads 70006 on the 4Z70 Wentloog to Southampton at Bishton on the 20th January 2016. 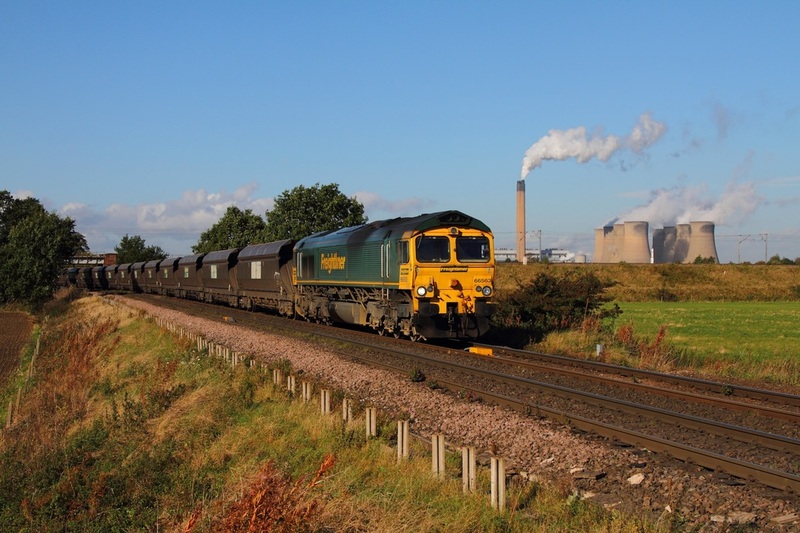 Freightliner's 66531 hauls the 6F90 1050 Portbury Coal terminal to Fifoots power station at Undy on the 15th January 2016. 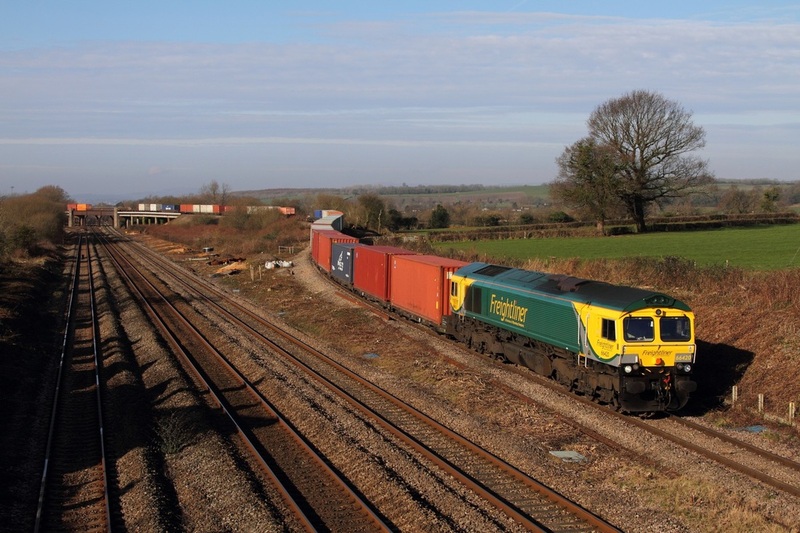 Freightliner's 66589 powers the 4O70 Cardiff Wentloog to Southampton Millbrook at Undy on the 15th January 2015. 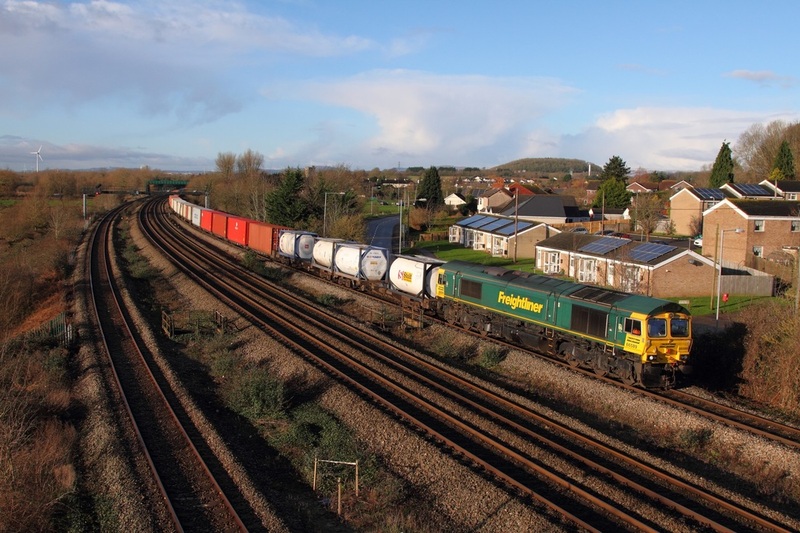 Freightliner's Shanks liveried 66522 powers the 6Y67 Westbury yard to Cardiff West via Margam approaches Bath on the 21st November 2015. 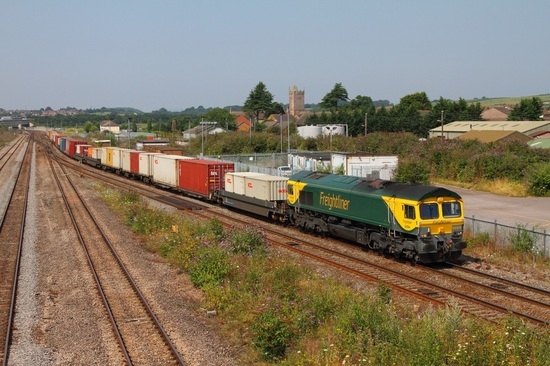 66594 hauls the 4M28 Southampton to Ditton freightliner at Hatton on the 25th July 2011. 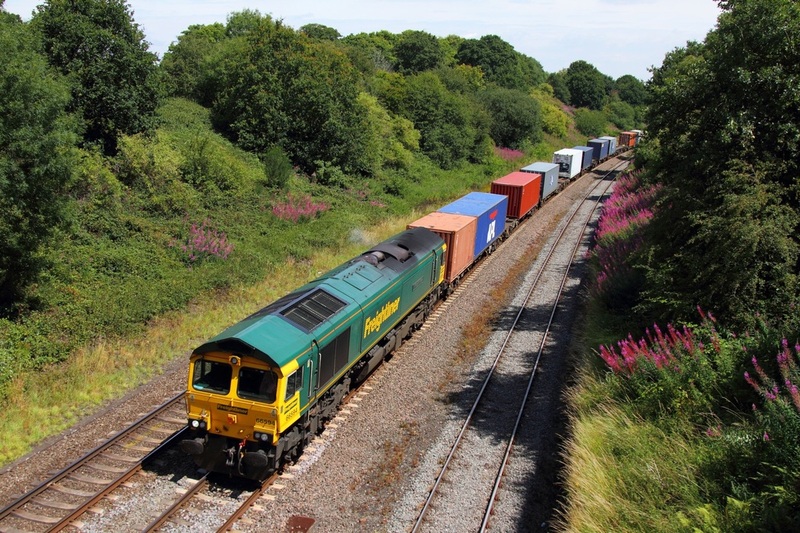 66419 on the 4V38 Daventry to Wentloog at Undy on the 20th September 2015. 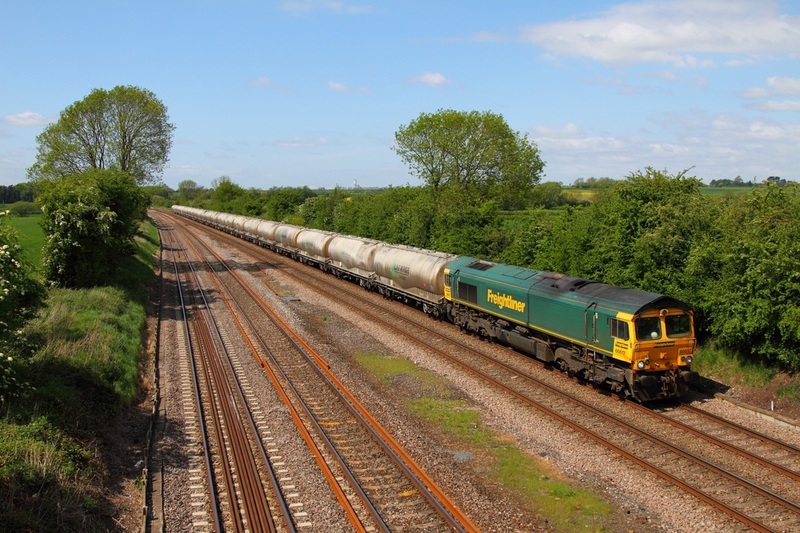 Freightliner's former DRS locomotive no. 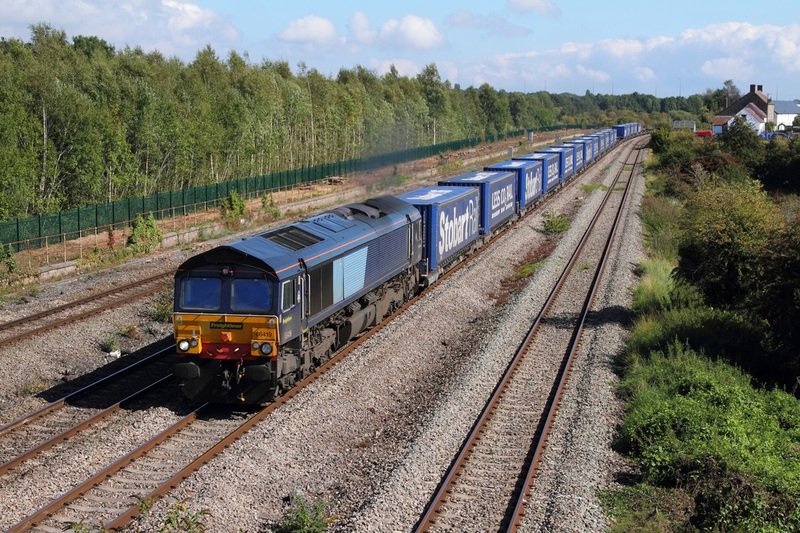 66419 hauls the 4V38 Daventry to Wentloog at Undy whilst on hire to DRS on the 18th September 2015. 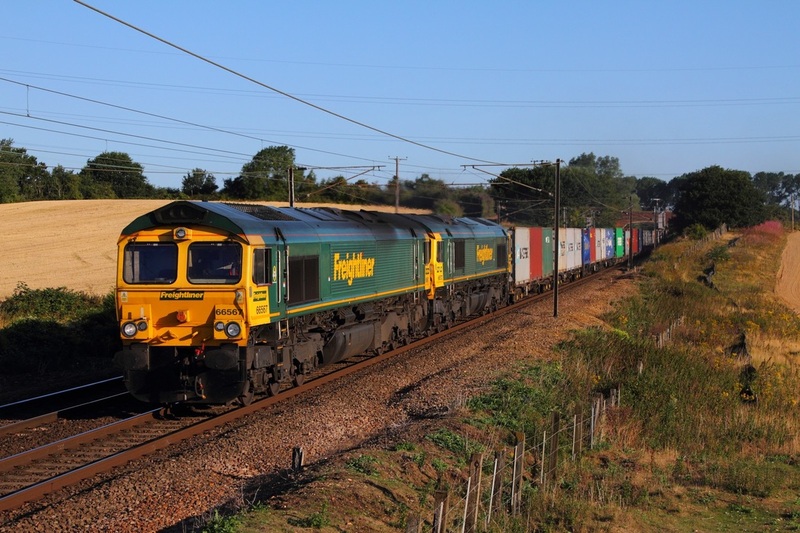 Freightliner's 66419 on hire to DRS powers the 4M36 Wentloog to Daventry at Bishton on the 18th September 2015. 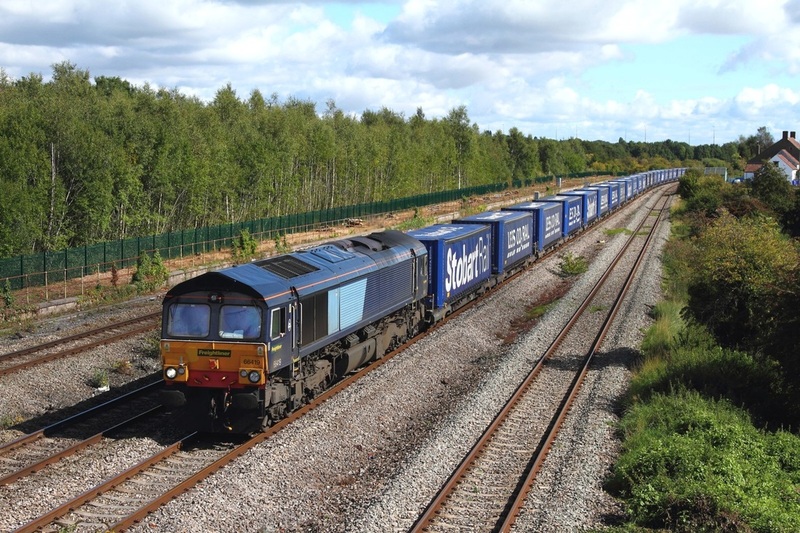 Freightliner's 66517 powers the 4E01 Southampton to Leeds freightliner at Willington on the 25th July 2011. 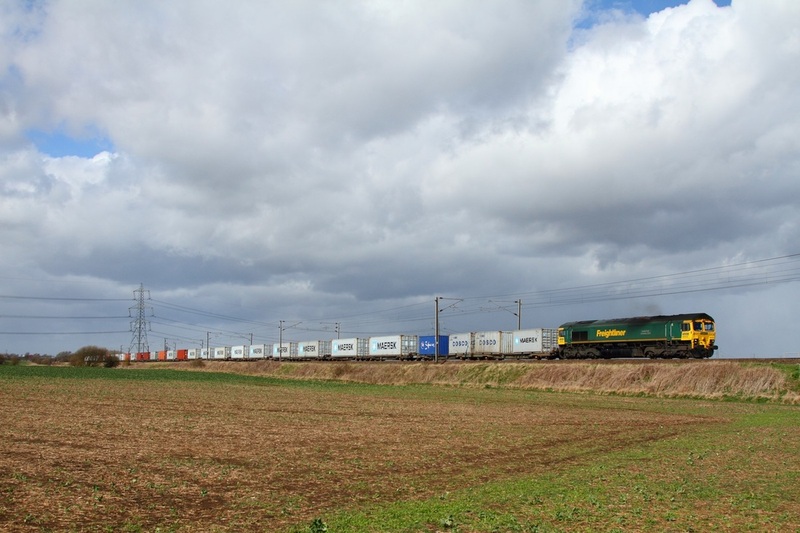 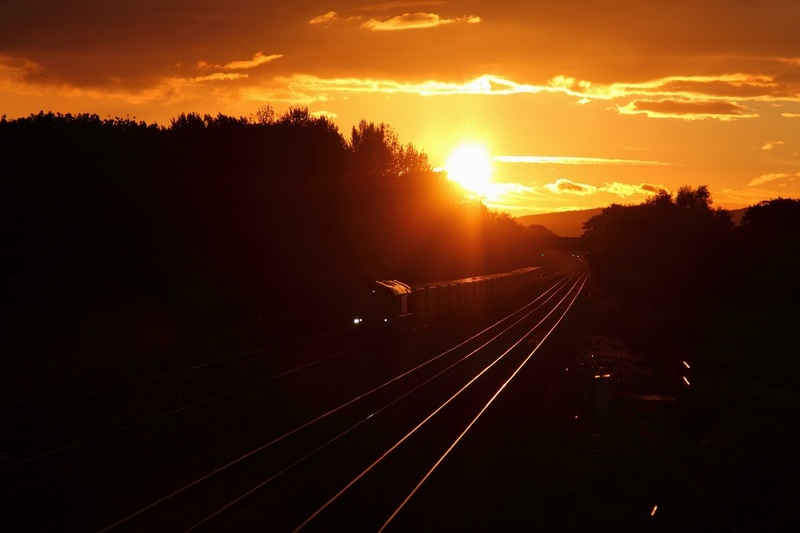 Freightliner's 66563 on the 6E94 Hunterston to Drax on the 10th October 2014. 66567+66572 on the 4L83 Leeds to Felixstowe at Baylham on the 4th August 2015. 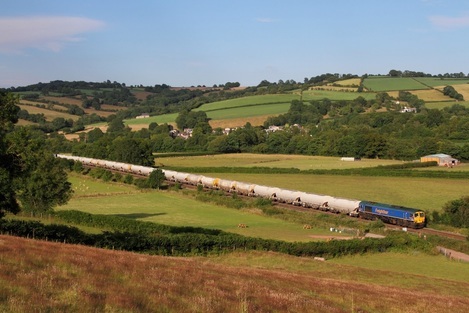 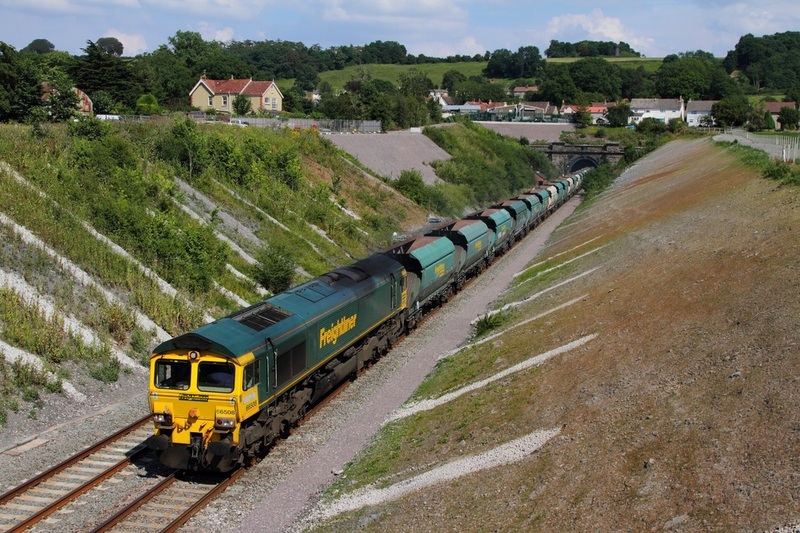 Freightliner's 66623 powers the 6V82 Tunstead to Westbury at Llanvihangel on the 19th July 2015. 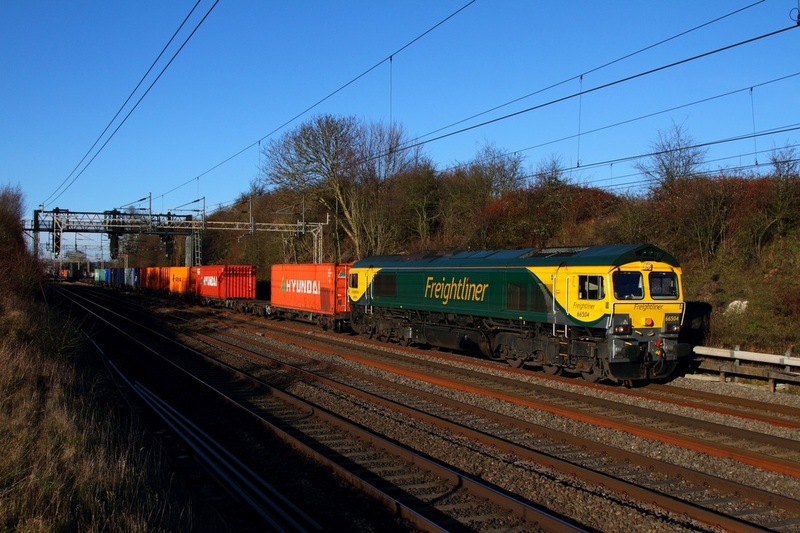 On the 28th December 2013, Freightliner's Powerhaul liveried 66504 works the 4O14 Hams Hall to Southampton Maritime freightliner at Bourne End, diverted via the WCML due to engineering works on the Reading West Curve. 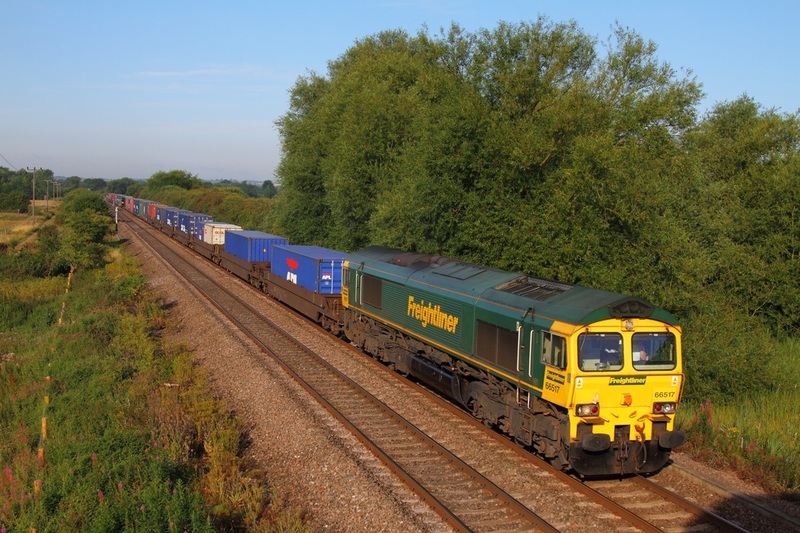 Freightliner's 66617 leads the 6L87 Tunstead to West Thurrock at Normanton on Soar on the 22nd May 2013. 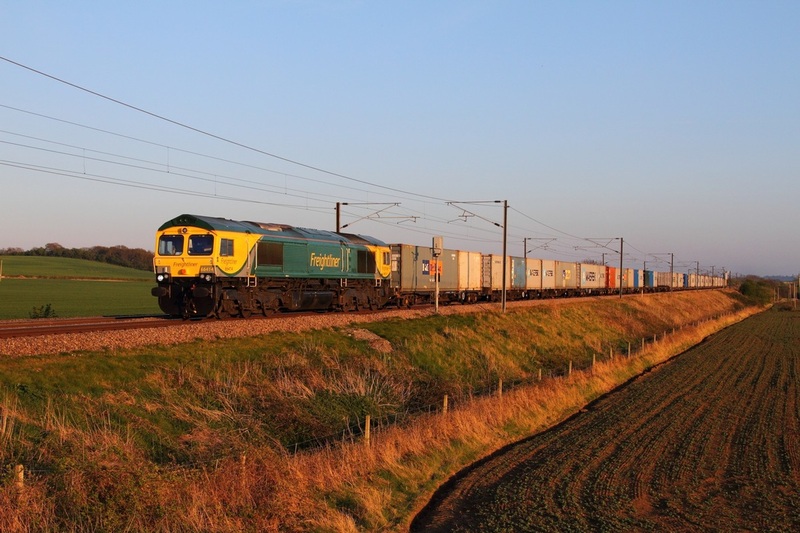 66610 tnt 66555 on the 6K25 Crewe Basford Hall to Carlisle at Greenholme on the 6th April 2015.